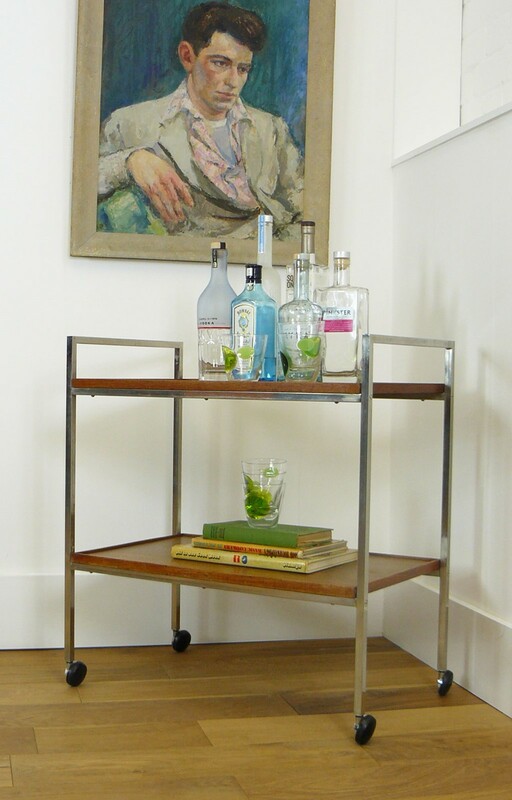 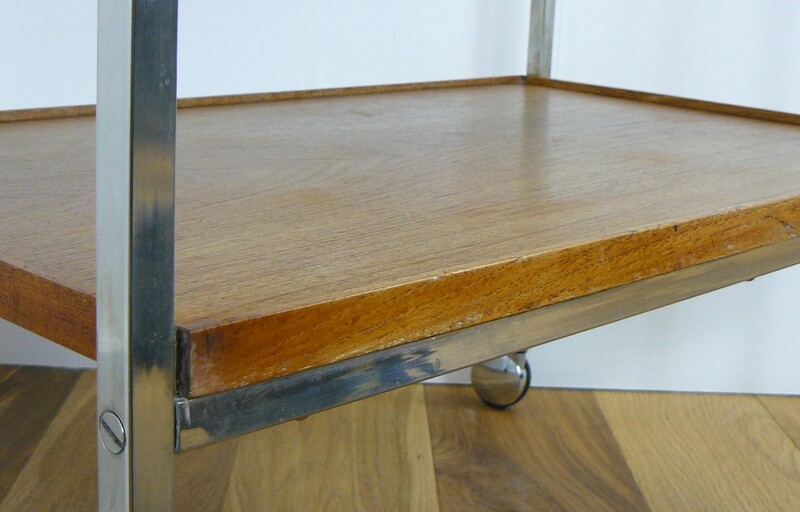 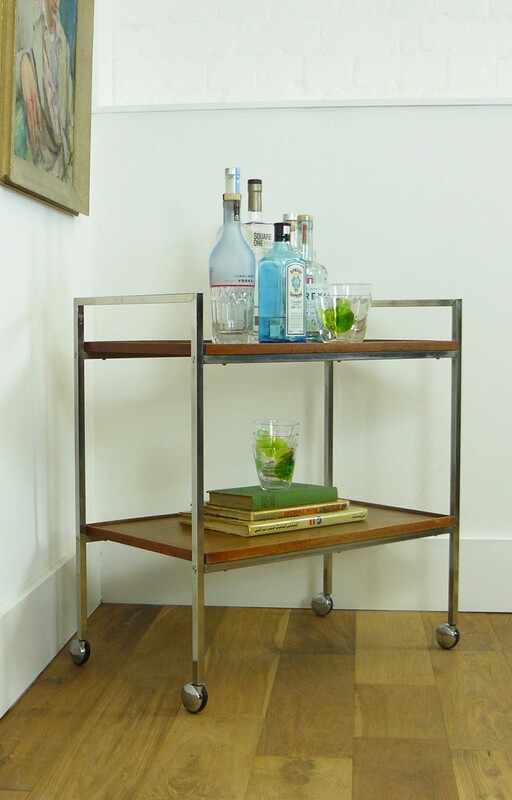 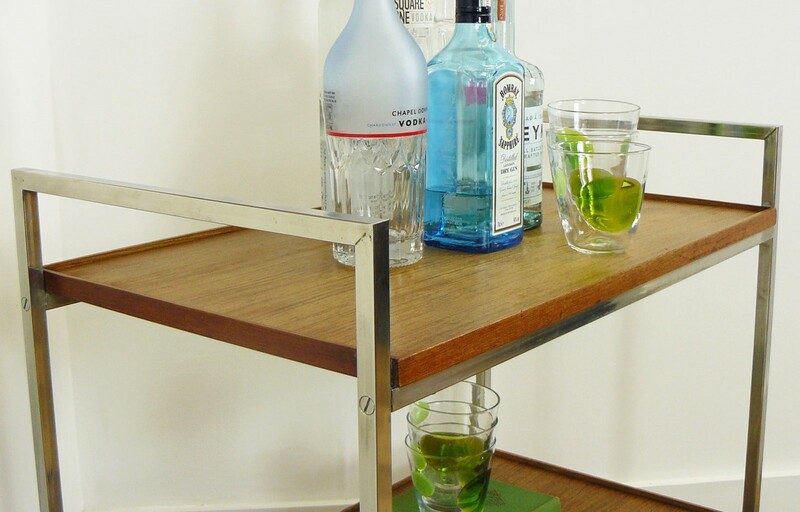 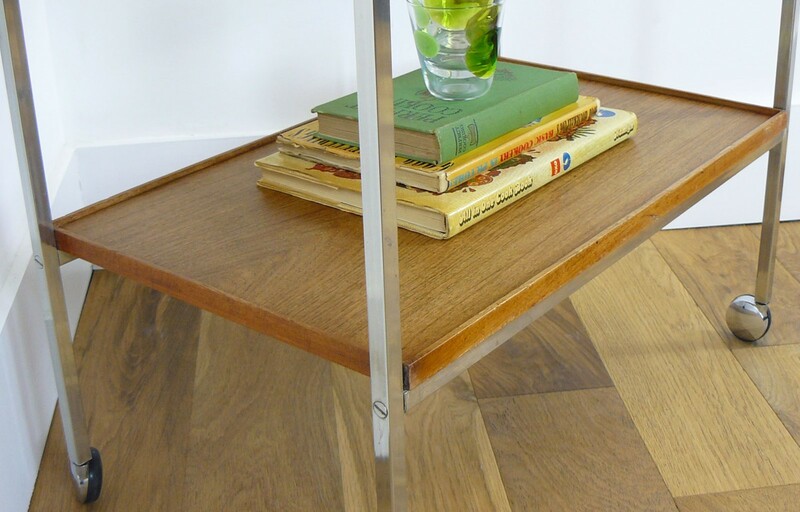 A good looking Danish drinks trolley benefiting from being presented in very good condition with its polished steel frame and teak two tier edged storage shelves. 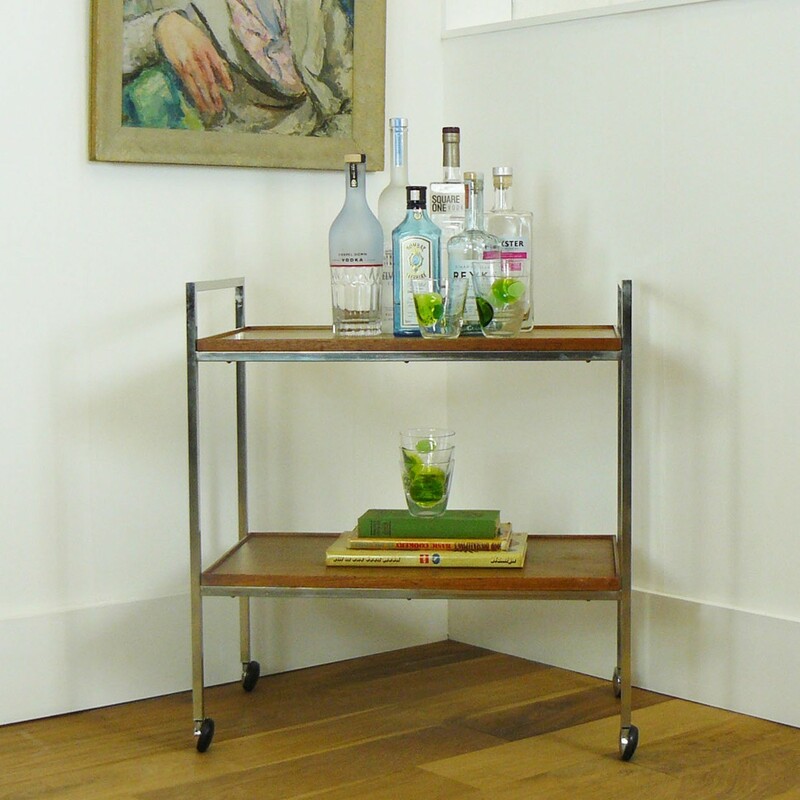 We like this one – it’s cool, fine, composed and spot on style for its era. 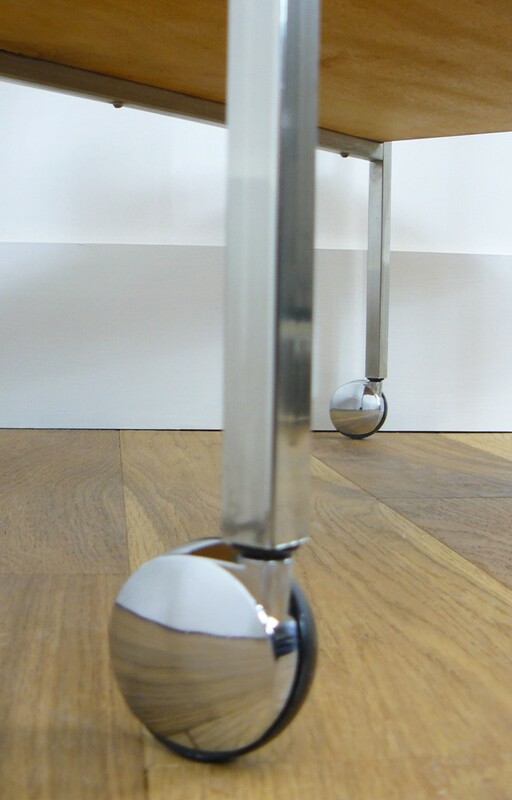 As mentioned it’s been well card for – no missing parts, no deep scratches to the surfaces, no kinks in the steel frame and all the original castors are in place and spinning well. 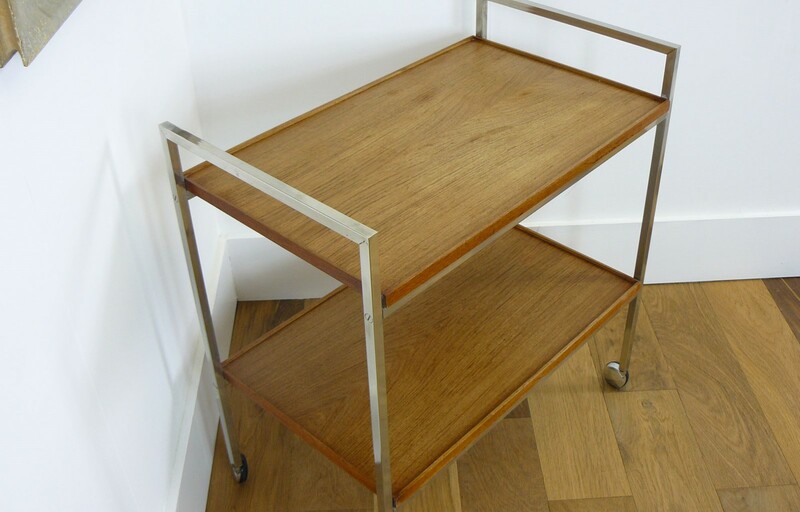 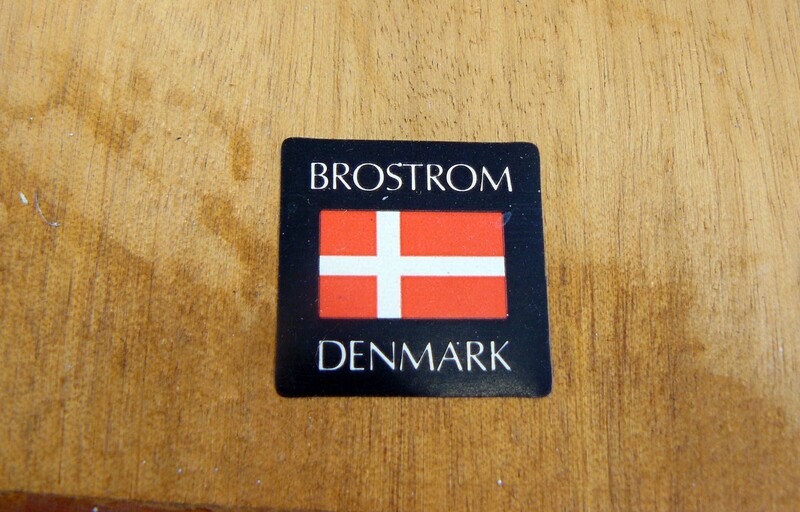 A rather fine-looking mid-century trolley marked, Brostrom Denmark underneath.